The Department of Mechanical Engineering conducted a one day workshop on CNC Programming for IInd and IIIrd year students on 16.07.2018. The session was headed by Er. 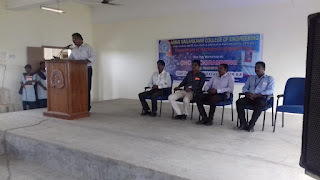 KKS Saravanakumar, CEO, Thiruvalluvar CNC & CAD/CAM training centre, Chennai. He gave a presentation on the currents trends and job opportunities in CNC operation and programming. About 93 students participated in the workshop. 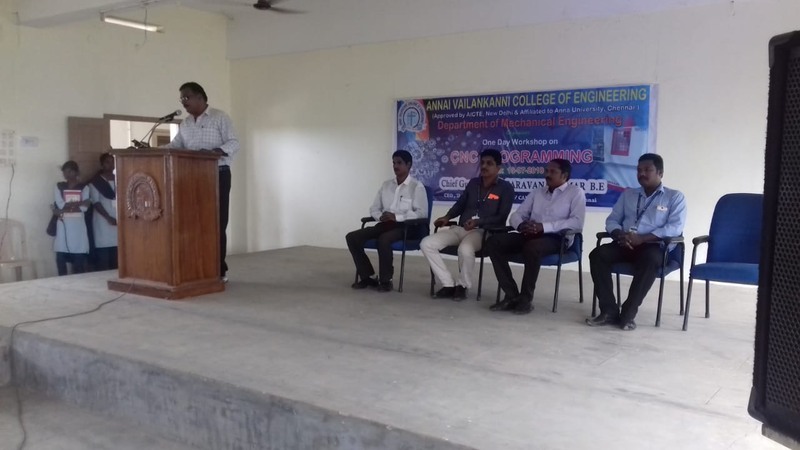 The workshop was headed by our beloved Principal Dr. P. Senthilkumar and Mr J. Prabhu, Head of the Department. The workshop was organised by Mr. V.P. Prawyn Jeba, Assistant Professor, Mechanical Department.